In America today, dieting is the way of life for very many Americans. Over 75 million people seeking weight loss programs spent over $60 billion in attempt to fight the battle of the bulge in 2011. However, contrary to the research findings, loosing 2.2 pounds or 1 Kg every week does not entail anything special, nor does it have to be expensive. The most important things for you to do is cut down the amount of calories that you take in, alter your eating habits, and increase your physical activity. 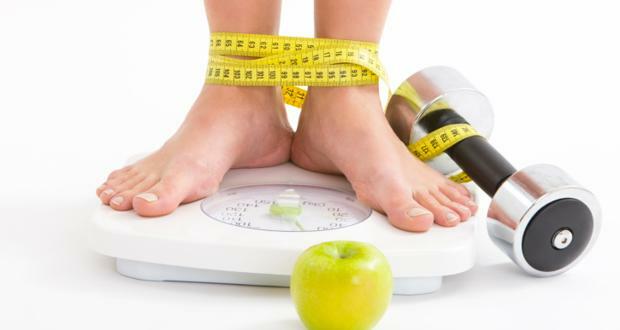 Weight loss is a matter of balancing the amount of calories that are eaten with the amount of calories burned. Taking fewer calories than you burn results in weight loss. It is, therefore, important to know that there is no substance, program or pill that causes weight loss magically. A single pound of fat is equivalent to 3500 calories. You should, therefore, plan to take 1100 lesser calories a day over a seven day period for you to loose 1 Kg or 2.2 pounds. When eating less than 1200 calories a day, it is hard for you to meet your nutritional requirements. The amount of calories that you burn every day varies. It depends on your weight, age, and intensity and duration of activity. It is recommended that you spend 30 minutes every day on aerobic activity like jogging or brisk walking. According to research, a 155 pound person burns 149 calories walking at 3.5 miles for half an hour. Other than being a calorie burner, exercise improves your cardiovascular health and your mood as well. Start slow and work to more intense and longer sessions of exercise if you are not a regular exerciser. It is advisable to consult your health care practitioner before you start on any new physical activity. Sandwich: 3 ounces turkey breast, 1 mini whole wheat pita, 1 teaspoon light mayonnaise,½ roasted pepper, lettuce, mustard. Oatmeal: cook ½ a cup oats (quick cooking) with ¾ cup of milk (fat free), ½ chopped apple, one pinch of cinnamon, 1 teaspoon honey cooked in the microwave. Chicken salad: 4 ounces shredded roast chicken breast (skinless) with ¼ cup red grapes (sliced), 1 tablespoon light mayonnaise, 1 tablespoon almond (slivered), 1 tablespoon sour cream (fat free) and serve over lettuce. 1 baked potato topped with one tablespoon sour cream (fat free) and 3 tablespoons salsa. ½ English muffin (toasted) topped with 1 ounce reduced fat cheese (shredded).and ½ sliced apple. Microwave for 30 seconds on high. Sandwich: 1 teaspoon horseradish, 1 mini pita (whole wheat), tomato slices, 3 ounces roast beef (thinly sliced), lettuce, mustard. Quesadilla: spread 1 small whole wheat tortilla with ¼ cup refried beans (fat free). Sprinkle this on 1 ounce shredded cheese (reduced fat). Top with another tortilla and salsa; microwave on high for 45 seconds. 1 frozen toasted waffle, spread with a tablespoon of peanut butter, topped with half sliced banana. Tuna pita: 1 mini whole wheat pita, 1 tablespoon light mayo, 2 ounces water packed light tuna, onion and cucumber slices, mustard. 6 ounces light yogurt mixed with ½ banana. Jambalaya: ¾ cooked brown rice combined with 2 ounces of cooked sausage turkey, ½ cup corn, ¼ cup canned kidney beans and 1/3 cup of salsa. Heat them together. Black bean salad: ½ cup mandarin orange sections, ½ cup canned black beans, red onion, chopped peppers (red bell), and scallions with 1 teaspoon of vinegar, serve with salad greens. Combine Aerobic Workout with Strength Training: as mentioned before, it is recommended that you spend 30 minutes every day on aerobic activity like jogging or brisk walking. Then combine the aerobic activities with the following targeted strength training workout to burn more calories. Remember not to overexert because you may get injured. After a long rest of the weekend, it is time that you have longer time for workout. The idea is to keep more circuits. Perform the same exercises but for a specific number of reps and repeat the overall workout so that it is closer to 15 minutes. The exercises for day three are balanced so as to start with larger leg muscles, and then move to the core and upper body. For day four, we will give the legs some rest and put more work on the upper body and the core. Your legs will be aching by day five if you have been following the workouts through out the week. This however should not stop you from working out a little more today. Day six workout will be very simple as compared to the previous days. We will only have two exercises. Repeat these exercises 10 times.